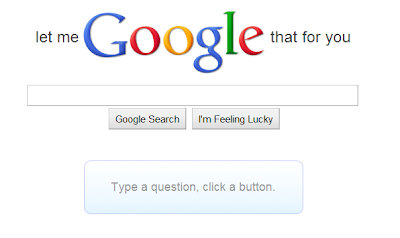 Introducing, "LET ME GOOGLE THAT FOR YOU". what a truly brilliant idea. I love the idea of being able to send a tiny url to your mates.